Jakob Soelberg has been a member of Ars Nova since 2009. He studied with Margrete Enevold at the Royal Danish Academy of Music from 2006-2009, and currently finishes his studies by prof. Scot Weir at Hochschule für Musik in Berlin. Before attending the conservatory he completed a Master's degree in Musicology at the University of Copenhagen. 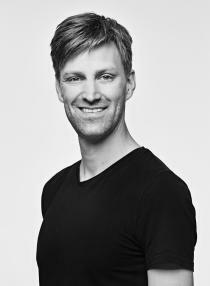 Jakob Soelberg regularly performs as a soloist around Copenhagen, and also works in The Royal Navy Church Choir and Teater Hedeland Opera Choir. Jakob Soelberg stepped out of Ars Nova Copenhagne in 2018.